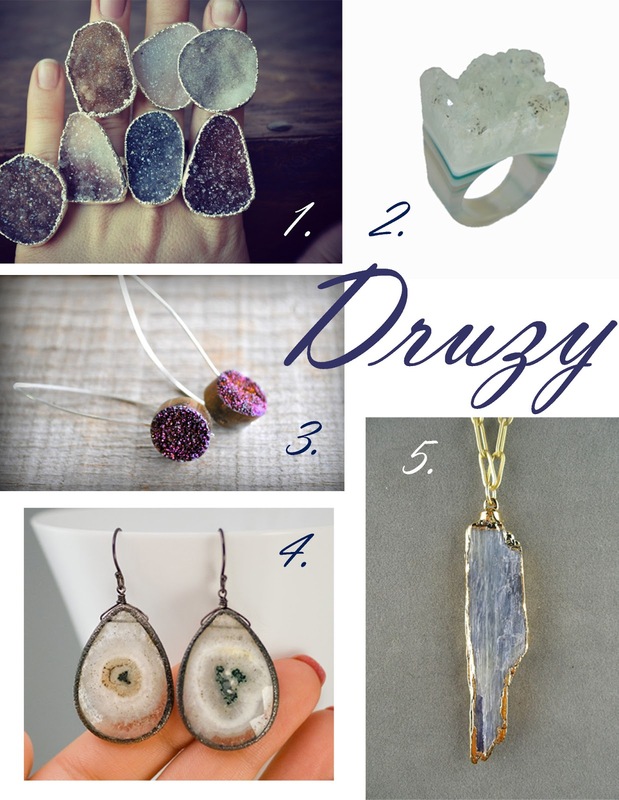 You know, Druzy, like a coating of fine crystals on a rock fracture surface, vein or within a vug or geode (thanks wikipedia). Oh yeah, this love for natural rock started at an early age. One of my families pastimes was to search the local gravel pit for agates and other unique stones. We spent hours walking endlessly with our heads down. At age 8 I received a rock tumbler for Christmas and our rough treasures were slowly turned into shiny wearable jewels. I didn't do much with the stones after that. Except for occasionally coming across a unique rock and secretly putting it in my pocket for later. 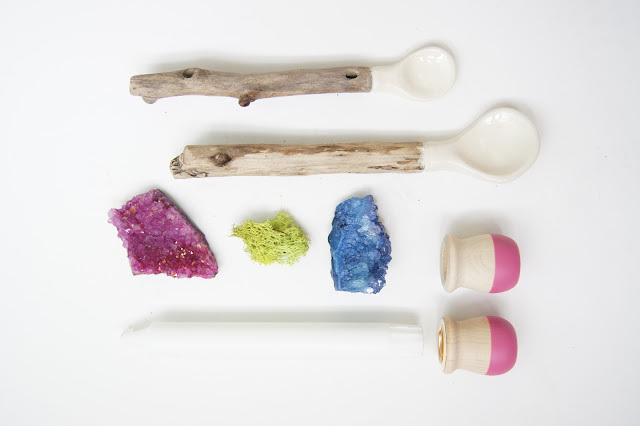 Well, a couple years ago my hubby and I took a trip to see a friend in Arizona and a stop at a local gift shop with a beautiful selection of natural, hand carved druzy rings which reignited my love for stones, in their natural state. Ever since then I have been in love with that stunning cobult blue ring...enter my beautiful jewelry loving daughter. It seems that she liked the ring as well and somehow lost it in one of her seceret "dress like Mommy" games. Now I am on the hunt for my beautiful replacement ring. Along the way I have become obsessed with earrings, necklaces and just about anything druzy. So, these babies are all in the running. You may have noticed that this rough stone obsession has runneth over to my home decor and styling too. Just can't get enough. Natural stones make beautiful accents in your planters. 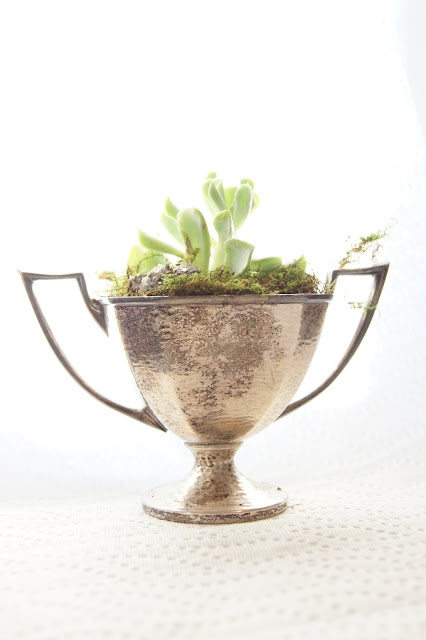 Can you spy the the pyrite stone in this succulent planter? Not hard to see why this has become an obsession. Do you have a favorite?